How can Krishna who himself ran away from battle & earned the sobriquet “RANCHOR”(meaning one who ran away from battle) advise Arjuna to fight his enemies? How can a forty minute discourse of the Gita be complete knowledge? How can a 5300-year-old dialog be relevant to modern times? If the Gita is unchanging, isn’t it too rigid and unsuitable for modern times? How can one discourse cater to the needs of diverse types of people? Does the Gita encourage violence? Isn’t the Gita sectarian and meant for Hindus? While there are many books that are based on GITA, this book offers a whole new perspective on this epic. While the book has been written for a specific audience (those who believe in Gita) it offers answers to a lot of questions that one might have. The authors have used research methodology in order to gather information and lay it down for it’s readers in a very simplistic manner. The first part of the book reads just like an in depth research report would look, with the premise which is followed by data, analysis and finally the conclusion. The next part is the pictorial representation of the data and its results, so we have various sketches of what Gita says vs. what we understood, dialogues between father- daughter and much more. Including the pictorial representations was a stroke of genius as it helps break the monotony and explain all the complex details quite simply, the person who said a picture is worth a thousand words could not have uttered truer words. The best part was when author explains Gita in today’s terms, how we can follow the principles mentioned in Gita in our real life, as well as the chapter on equality. There are various cases and scenarios that are described in the book wherein there are various interpretations of the text. What I liked the best in this book is the use of techniques like SWOT analysis, If analysis, etc in order to explain a certain topics. The intense hard work and the in depth research is clearly visible as soon as the book touches your hand. Also, the quality of publishing is excellent, I was quite surprised by the excellent quality and presentation. 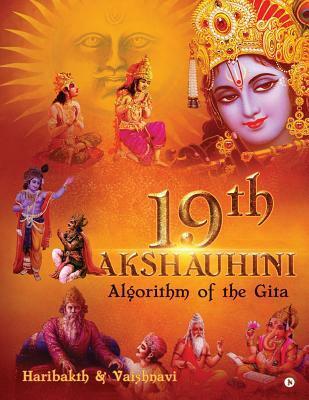 In conclusion, if you believe in Gita, and want to know more about what it stands for, do pick this book up.